An engraving depicting James Thomas Brudenell, Earl of Cardigan, which was produced from a photograph by John Watkins. Lettered below image with names of artists, title and publication details. 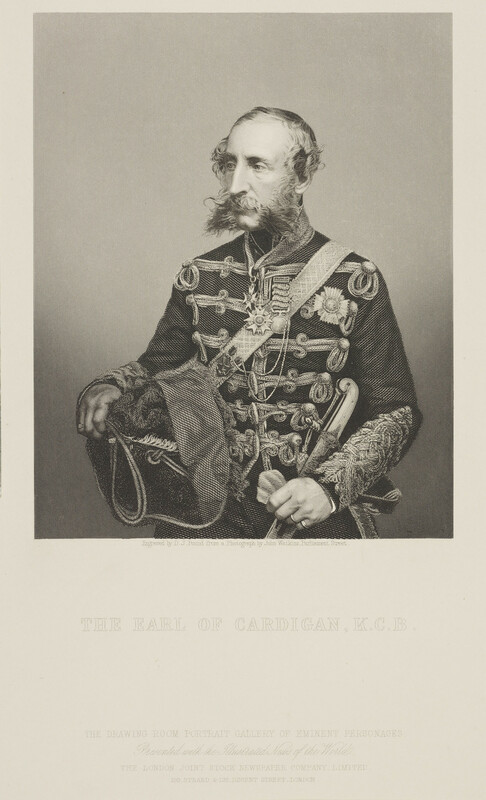 Reproduced in a supplement to the Illustrated News of the World. 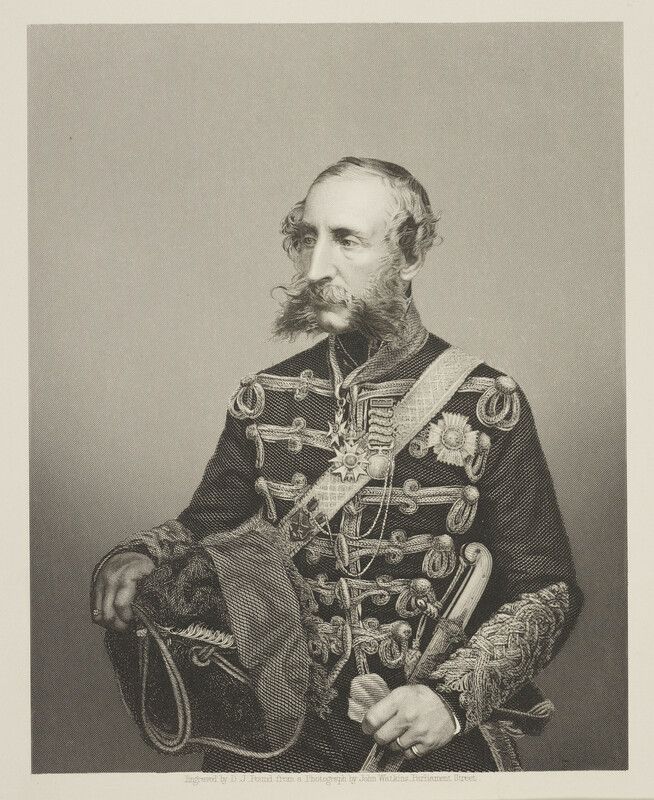 James Thomas Brudenell, 7th Earl of Cardigan (1797-1868), was given command of the Light Cavalry Brigade, reporting to Lord Lucan during the Crimean War. 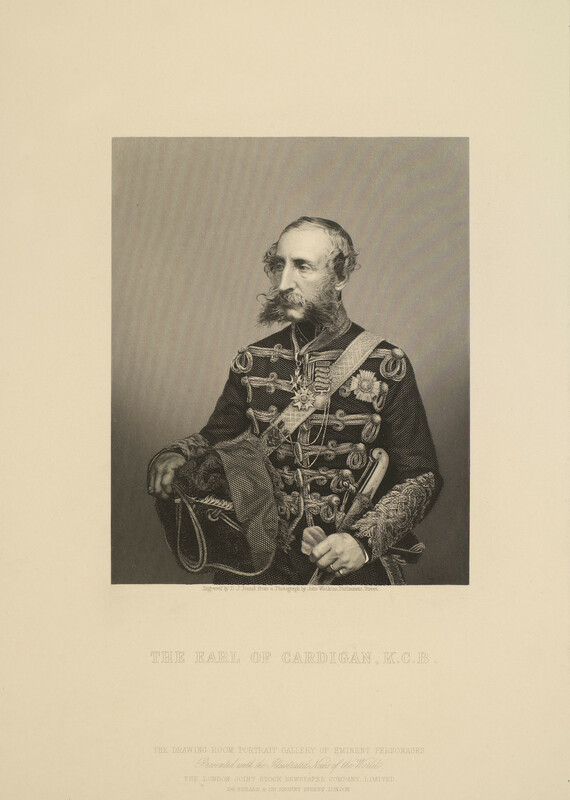 Cardigan led the charge against the Russians in the Battle of Balaklava which became known as the 'Charge of the Light Brigade'. He returned home at the end of 1854 and was feted as a hero in Britain. He was subsequently involved in legal action against Raglan's aide-de-camp Lieutenant Somerset Calthorpe who claimed that Cardigan had retreated after the charge without rallying the survivors.